So I have been wanting to buy my first performance mod for a little bit and finally saved up enough to grab the Honker for my 99 coupe. I've done a lot of reading and I feel this is the one for me, even though the price is a little too steep imo...so far I haven't come across anyone selling it used (I guess that means people don't want to give it up? Lol). Best price brand new is around 425 plus tax + shipping. Now here's the question, & I guess it goes out to the forum veterans, now that Black Friday/Christmas is around the corner. Do any of the vendors offer bigger promos closer to the holiday seasons? If so then I'll obviously wait, if not then I'll just purchase it soon. What I don't want to do is buy it and one month later find out there was some extra discount I could have gotten lol thanks for anything helpful! Might not be worth much but you could periodically google "callaway honker C5 corvette site:craigslist.org" and see what comes up. Found some guy in Texas selling one with this method and got him to ship it to me here in CA for $210.. just make sure to use paypal, send money as "for goods or services" and specify what the item is in the payment and you should be good. Do you have any future plans for mods? Honestly, I know you're probably excited about this purchase, but I think you'd be better saving a bit more and upping the budget for something like headers, or if you have an auto, gears! 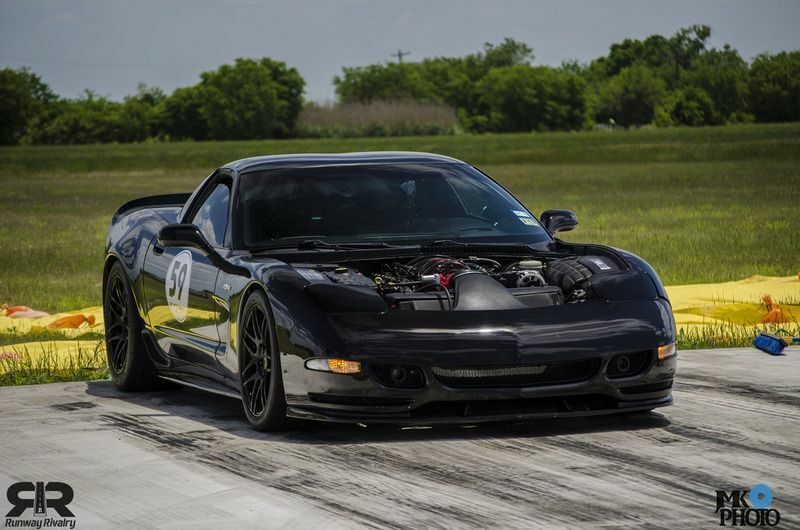 You might get 5HP on a stock LS1 if that's what you have. Also, kinda doubt retailers will tell you about sales unless they were about to advertise anyway. As the other poster said, used might be a better option. Yea I've tried that for a couple weeks now, I will keep trying and hopefully I can find a steal...thanks for the tip anyways brother! I would like to add something. If you do an intake and catback, you should also consider a set of headers. Hinson (vendor here) now has a set under $850. Combined with the intake and a good tune, you will feel a noticeable, worthwhile difference. Ok cool, good to know. The tuner that I've spoken to gives a prorate for any tunes after the first so if I ever get the itch after then I definitely will go with what yall are saying about the headers then tune. For the very reasons you stated above, are the reasons why I chose the honker above the rest. I think I will wait for maybe another month or two and see if anything pops up and if not then I'll just get it new. I'm pretty excited to actually put some nice touches on the ride. Hopefully by then the itch is cured but who knows lol this car is just too much fun. Hard to say if any vendor will put a special on the Callaway Honker, but if they do it could be worth the wait. And if they end up not having a special on them, it's still a good winter project. ...a lot more mods in the thread (suspension, brakes, etc.) but the only "performance" mods are what I listed above. I have a callaway on my 2000 and love it but I have a Vararam and powerduct i bought brand new for my c5 and never installed. Its still in the box if your interested. Love your project brother...like the idea of trying to keep things as close to stock as possible while also making the ls1 perform at its peak. Saw the dyno tune, pretty much what i'm expecting. Hopefully it goes well! Thanks bro for the offer. I debated for a long time between the two. My mind is pretty set on the honker now. Nothing wrong with the vararam at all, just like the fitment with the honker better. Beautiful! thanks for the heads up, i'll definitely be giving him a call soon. And thanks for your service too brother!